I feel like every sewing fanatic has been in this horrific situation– you’re using your sewing machine, when all of a sudden, a critical part decides to break. How are you going to finish your project now? Well, the obvious solution would be to buy a new sewing machine. Problem is, you don’t always know which machine is right for you. That’s where this article comes in. First thing’s first: you need to ask yourself 3 basic questions. 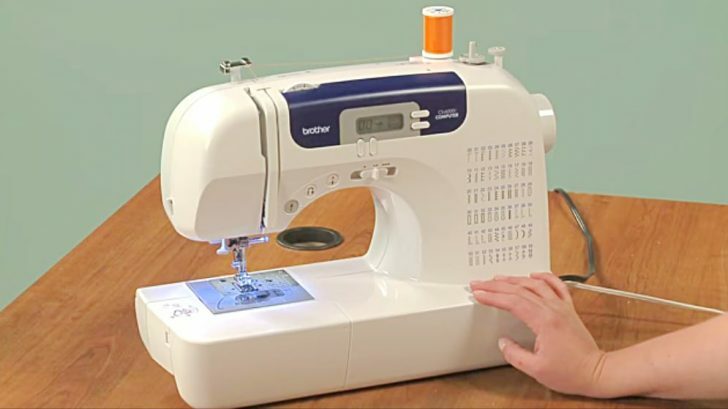 What kind of sewing do you do? Are you more of a quilter, a garment sewer, or do you do a little bit of both? What will you use this machine for? If you’re more of a quilter, you’d want to get a quilting machine, if you like embroidery, go for something with a lot of different, fun stitches to work with. If you do a little bit of everything, go for a basic hobby machine. How much help will you need with a new machine? Are you an expert sewer, using a ton of different machines in the past? Do you have very little or no experience? This question determines whether you’d buy the machine online or in a store. You’ll get more tips, tricks, and instructions if you buy in store, as well as some upkeep, so that’s best for beginners. If you don’t have a ton of money to spend, a hobbyist machine may be best for you. The more lightweight a machine is, the lower the quality, so keep that in mind when making your decision. If it lacks a metal or aluminum head, that’s also a sign of a lower quality machine, but it will be cheaper this way. There’s also the option to buy a used machine, and some of those are amazing, but they may lack newer features like a digital readout. Also, make sure parts for that machine are still available! What tips do you have for buying the right machine?